The Western Reserve Junior Service League is a great friend to Extended Housing! Extended Housing was recently awarded $2,315 from the Western Reserve Junior Service League (WRJSL) for the purchase of 45 hotel style shower rods, liners, and hooks to be installed in our properties, as well as much needed tools to help our maintenance department. 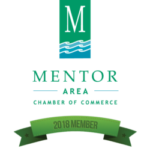 The mission of WRJSL is to promote enrichment of educational, cultural, and charitable service organizations of Lake, Geauga, and Ashtabula counties by providing dedicated volunteers, financial support, and proven leadership. Extended Housing is extremely thankful to the Western Reserve Junior Service League for their continual support! Please help support the WRJSL and attend their Follies event on May 20th or May 21st. Performances will be held at 8:00 pm at Harvey High School located at 200 West Walnut in Painesville.